I'm not sure what provoked it, but was struck very strongly this week that I should consider closing this blog. 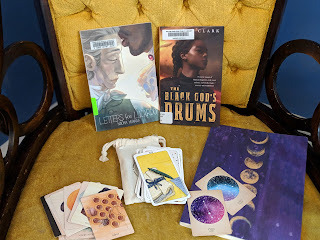 I think it's maybe that I'm trying to renew my work on it -- I'm trying out different review formats, attempting some YouTube vids, hoping to integrate my tarot and woowoo research -- but I'm so aware of how little interaction I have through it all. I know -- or 'know' -- many bookish folks online, but my interactions are fleeting and quick. 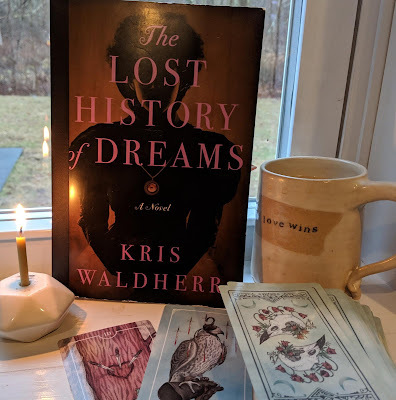 I started my blog to connect with other readers -- a virtual book club, I imagined -- and I'm just not doing that. 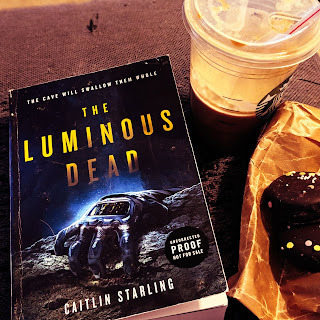 Reviewing books to help authors and publishers promote them has become the meat-and-potatoes of my blog, and I'm not that excited about it. Certainly my free-range reading of these last few months have been refreshing and fun, but even writing about those reads feels like I'm talking to myself. So, if that's the case, why continue here? 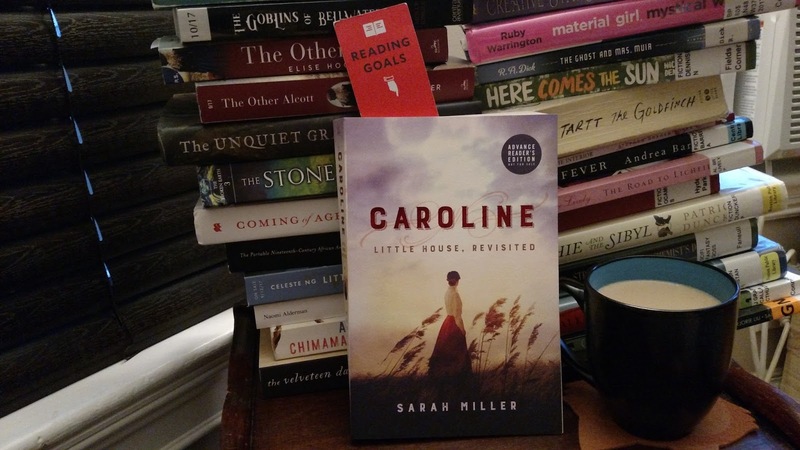 My weekend read is Caroline: Little House, Revisited by Sarah Miller. It's an authorized prequel about Laura Ingalls Wilder's mother, Caroline (or Ma). I'm not a Little House fan (more of a Caddie Woodlawn girl myself) but my wife and toddler have been listening to the audiobooks of the series (read by Cherry Jones, by the way, and they're smashing) and I've been intrigued by Ma. She's the more biased one, to my adult ears, and very cautious considering she's with someone who keeps moving and introducing major disasters into their life. So...what are you reading this weekend? And do you have any tips for helping me figure out whether to stay or go? I know where you're coming from - there used to be a lot more interaction in the blogging community. Maybe take a little hiatus and see how you feel then? I've always blogged on my own terms. I never had a set posting schedule. I never laid out what posts I would do when. I created it to keep track of my thoughts and that is still what I use it for today. The added bonus is the community aspect but it's give and a take. You have to also be up for visiting blogs and creating interaction if you want to get it back. I know that for me, comments fall as soon as I stop commenting. It' s the nature of the beast. I guess what I'm saying is that if you feel as if you are talking to yourself, and it bothers you, ask yourself if you've been visiting and commenting. I think because I've never had expectations for my own blog, it still works for me. I have no desire to lay it down and I will be blogging for 10 years in February. I say do what you enjoy. So excited to hear about your 10 years soon -- that's incredible! Visiting other blogs is not work to me. I like to stop by and see how people are doing. It's not even about the books anymore. I like to sit here in the morning, before work, and check-in. I don't think I'd enjoy blogging much if I had no interaction though. That, I know. People have fallen off the blogging wagon recently but I don't feel it too much because I still connect with them regularly on FB, Twitter or Instagram. Usually FB. You should never feel guilty about anything and if the act of blogging is doing that to you, then I say take a break. You can always come back to it if you want. I understand this feeling so well! I blogged less and less last year and then really have done very little this year at all. I still read, but I just don't feel like writing a book review. And I don't visit many blogs any more, either. Mostly because I feel like I keep in touch with some people through gchat and twitter and instagram and email. And I think now I talk more with people IRL about the books I'm reading and they're reading. So blogging feels less relevant to me now. 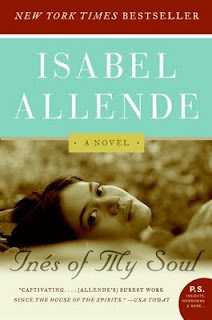 I DO often forget about the books I've read, though, which is what I would like to have a blog for, as a record. But... I also just don't know. If I don't review pretty much immediately, then I just don't really review at all. Also, now I consume a lot of different types of media that make me think a lot, too! Podcasts, especially. I do find I'm more active on Instagram and Twitter, and maybe I should just lean into that. I think blogs, overall, as a communcation platform are fading -- those who used it as a center for long form writing, say, are on Mic or Medium; those who did photo sharing have better tools. Like you, I started the blog to remember what I read, and I've found now that if I don't jot some thoughts down immediately, they fade away. I'm trying to get into podcasts but just don't have long stretches of time to listen to things. My work is such that i can't listen, either, to anything with words, or I'll end up typing that instead of what I should be typing! I totally get where you're coming from. I'm seriously considering leaving my blog at the end of the year. I don't have a ton of extra time to write reviews and other content and frankly, writing reviews just isn't fun anymore. I also tend to get behind and then have to remember what I read two months ago when trying to find a review. I used to love blogging so much and it's kind of become a chore. I go through periods where I love and I'm super excited about it and then just fall off the wagon again. You know what, I was thinking about this just the other day! 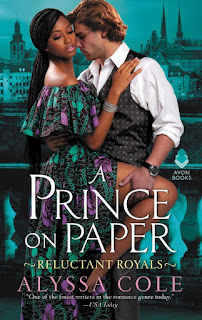 I’ve been feeling like I spend so much time reading and reviewing and formatting other types of posts on a schedule for blog tours and not doing enough “hmmm...what catches my fancy now” reading. Sometimes I just want to pick up any old Book and not worry about what other books I’m supposed to be reading. Oh girl, I have such mixed emotions about this! I keep thinking, is this the best use of my time? 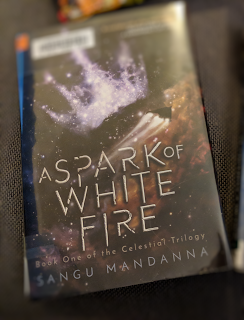 Is this usefully connecting me with other readers? And I never come up with a satisfactory answer. I love you and your blog, and I would be sad if you weren't around, and I also really really get the feeling that blogging is consuming more time than you're willing to put into it. IDK. I will say that taking blogging breaks has been immensely salutary to me in the past. When I have a couple months' break, it gives me space to do other things and also to miss blogging. Or of course, if I didn't miss it after a few months away, that would be a data point too. Oh I can really sympathize- in my experience it has gone in waves and very dependent on what else is going on it can be harder to put the engagement energy in, but can't quite quit either :D . In the end it is really about what is meaningful for you. The Caroline book sounds intriguing- prequels/sequels can go either way but how satisfying if well done. Do what you need to do for you at the moment. That's always my motto. I've had tentative plans all year because I knew I'd be busy and I like deadlines, but I'm an odd one in that. I've spent more time writing poetry this year, and that's made me happy. So I'm on my way to more balance; I just need to stick to the cause -- saying 'NO' when I know I won't have the time. Raising kids is enough work without a job and other pursuits...but those other pursuits have to be things you enjoy. I totally get it! I don't have many answers, but I think it's okay to have a mishmash blog (write about what you want, when you want). Maybe focus on your original reasons for having a blog. I find I engage more on Litsy and Twitter than though blogs.